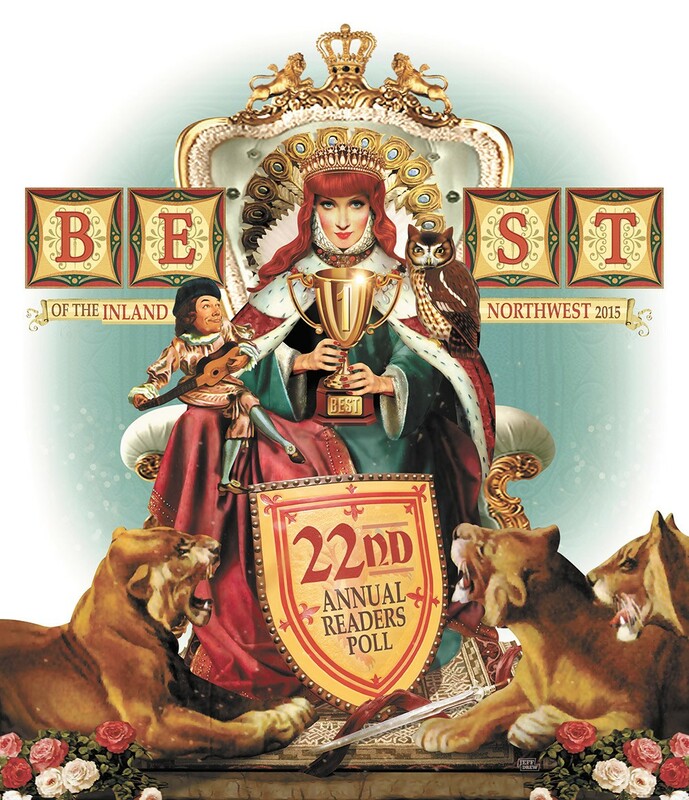 Back for its 22nd year, here it is — the collected results of our annual READERS POLL. To keep up with changing times, we debuted more than 40 new questions this year; check out the winners of Best Distillery and even Best Poet. You’ll read about new winners in longstanding categories, too — watch for Best Burger and Best TV Sportscaster, in particular. We asked locals up in SANDPOINT and down on the PALOUSE to tell the rest of us about the Best of their corners of the Inland Northwest. ROMANCE also earned its own mini-section in this year’s issue. And as always, you’ll find the top vote-getters in NORTH IDAHO sprinkled throughout. This year, we’re adding four new members to the BEST OF HALL OF FAME — Mt. Spokane, the Spokane Arena, STCU and Thai Bamboo. These local institutions truly define sustained excellence, winning at least 10 Best Of awards in at least 10 different years. Finally, you’ll find six questions that you, the clever readers of the Inlander, asked. Every year we want to know the Best Question We Didn’t Ask, and you can read all about them in our READERS’ QUESTIONS stories, tackling everything from Best Local TV Commercial to Best Local Cat — as in an actual feline pet, not a human hipster of note (although some of you did vote for those types). Enjoy your Best of the Inland Northwest issue — and after you’re done, get out there and experience all the winners have to offer!